It’s The FINAL COUNTDOWN! Duh duh duh da da da………. Yesterday Seth and I unleashed our top plant picks for the yard and for containers. By no means are those the only options. They might not even be the best options for your plantings. They are just plants that Seth and I believe in and like. Today is the final round of our co-founder matchup. Now that we’ve discussed the yard and containers, there’s only one major arena left: Indoor Plants. Some of you will call them house plants or potted plants, but that doesn’t really sum it up. The plants we’re talking about today don’t discriminate. They don’t care if you live in a house, an apartment, or even that van down by the river! We’re talking about those plants that are staples in your scenery. Think of them more like plant pets. So who has the better plant picks Seth or myself? You decide in this final (for now) roundup! The picks are in! Which Indoor Plants are your favorites? 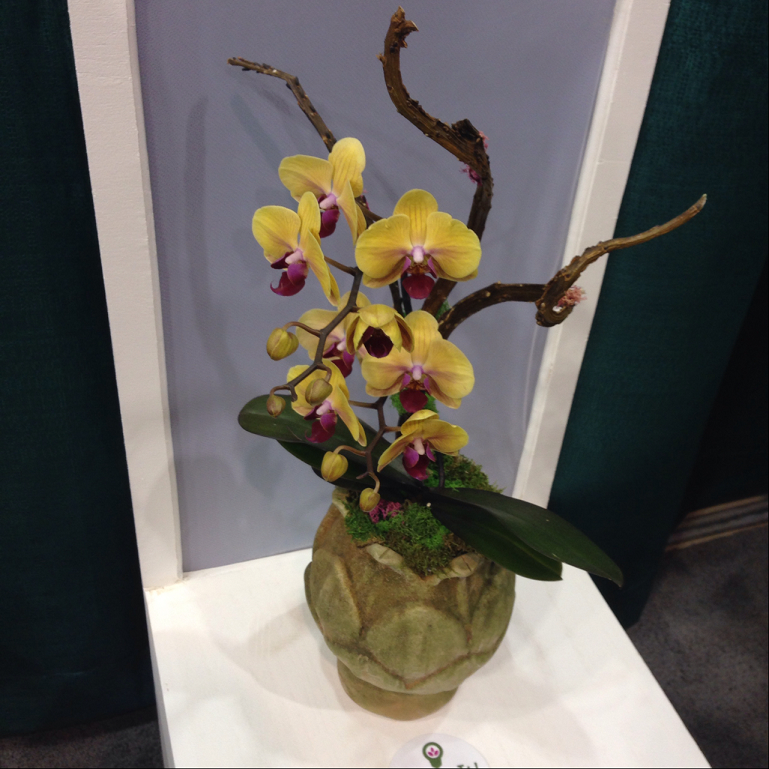 Used Orchids – The plant business guy in me encourages people to throw plants like orchids, poinsettias, and other potted plants away after they are done blooming. The plant nerd in me likes buying orchids that are discounted, just to see if I can bring them back to life, and get them to bloom. Surprisingly, they are rather easy to care for; give them a bright indirect light (so don’t put them in the window, just a bright room), water them thoroughly once a week (I put them in my shower for a few minutes), and a lot of patience. Summer is a good time for these types of projects because the light levels are really high. 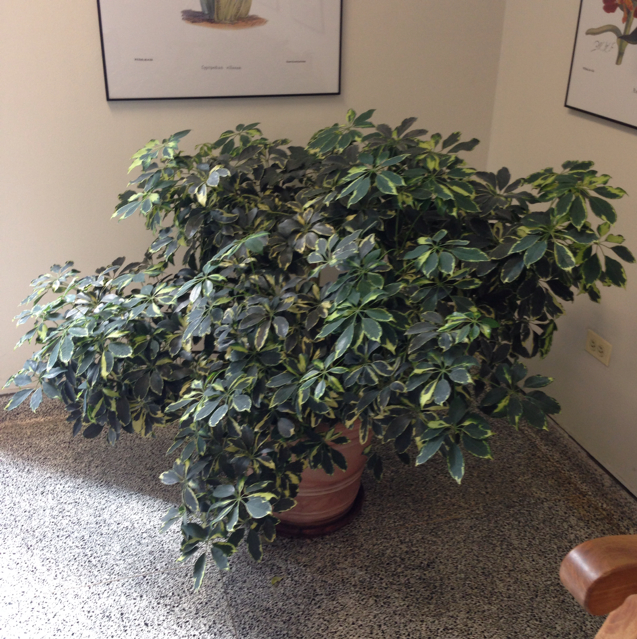 Umbrella Plant – Ok, so this plant may be considered to be rather boring, BUT, this plant is SO easy to take care of, I doubt anyone can kill it (I don’t mean for that to be a challenge). Another great thing about this plant, is you can easily keep it at any size that you want, just by snapping off its new growth. The plant in the photo has been that same size for the last 4 years. It’s easy! And I really do believe the green color adds an element to the living room that lacks when it isn’t there. The plant can also be found it brighter colors. 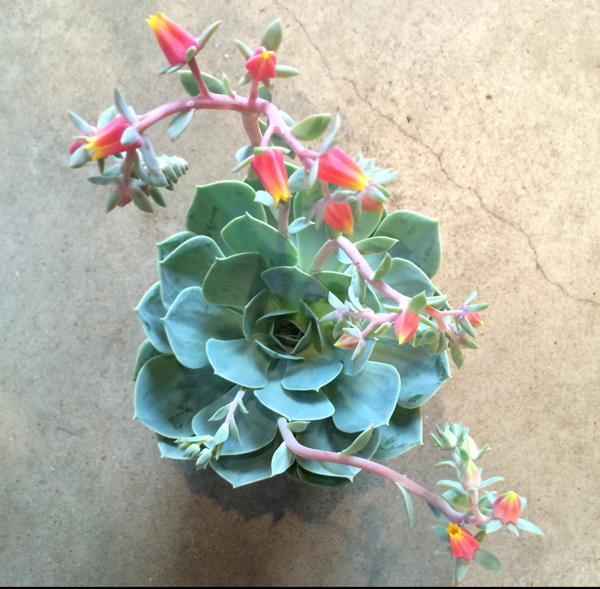 Echeveria – this is an easy to grow succulent that has been popping up on the app more and more. It has a nice blue hue to the foliage. The blooms’ bright orange color contrast the foliage in and exciting way that you just don’t get from a green plant. The plant nerd in me really likes the architecture of the plant and how it is completely different than most other plants. It doesn’t require much water, so you will see it in many interesting containers. Cyclamen – I really like Cyclamen because they are versatile. For most of us that live in the frozen north, cyclamen are considered a houseplant that we can bring outside for some well-deserved sunshine. 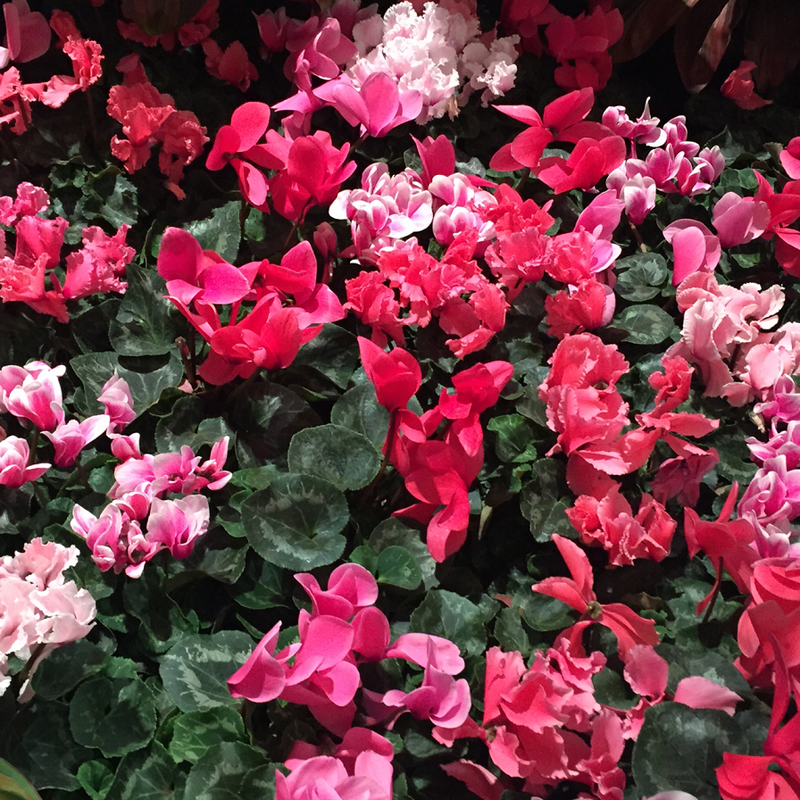 However, in some parts of the country, cyclamen can be considered perennials that bloom year after year. The growth habit on these is awesome because it’s so controlled and the flower has to be one of the most beautiful on the planet. 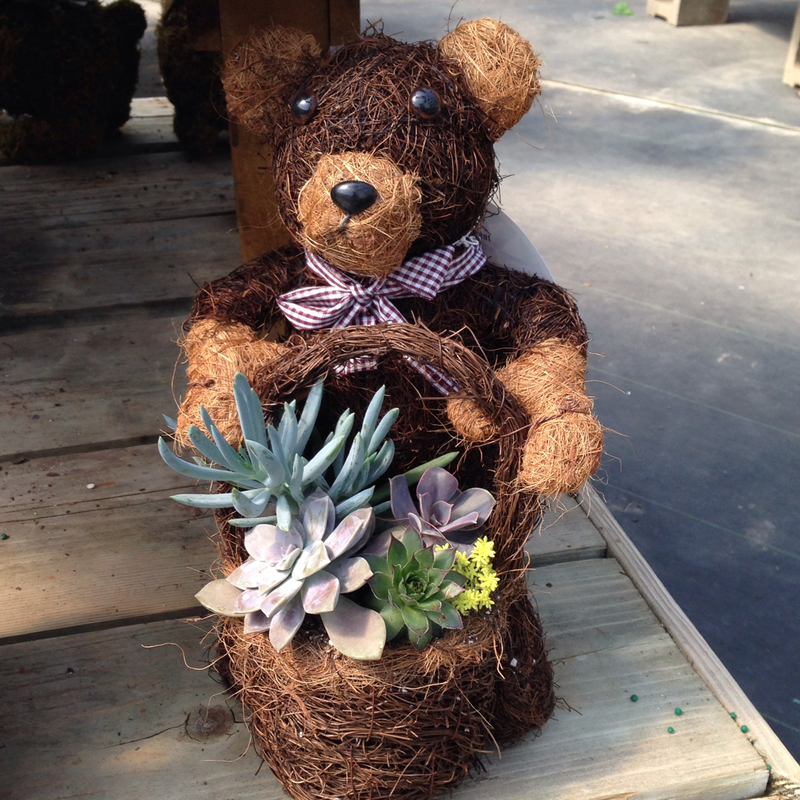 Succulents and Cacti of ANY kind – Want to start gardening, but don’t know what to grow? 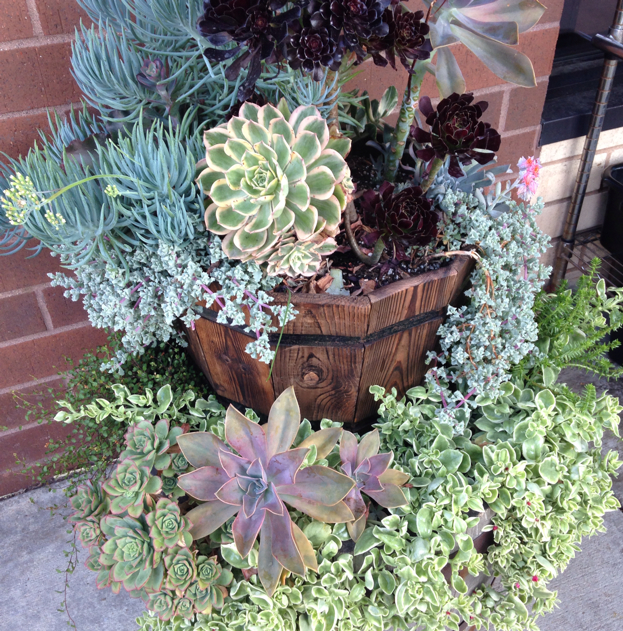 Go to your nearest garden center and ask them to show you their succulent display. Even though you won’t find lots of blooms, you are going to see more shapes and textures than you thought possible from plants. You’ll see plants that look like rocks (lithops), plants that look like dishes (paddle plant), even plants that look like Shrek’s ears! These are the ultimate gateway plants. Cylindrical Snake Plant – Snake Plants are common fixtures in office buildings around the world. However, the Cylindrical Snake Plant is a rarer beast. This thing looks like something straight out of Jumanji. Sometimes growers even “train” their plants with string and wire to get them to intertwine. Again, all about texture here and a very easy plant to care for. 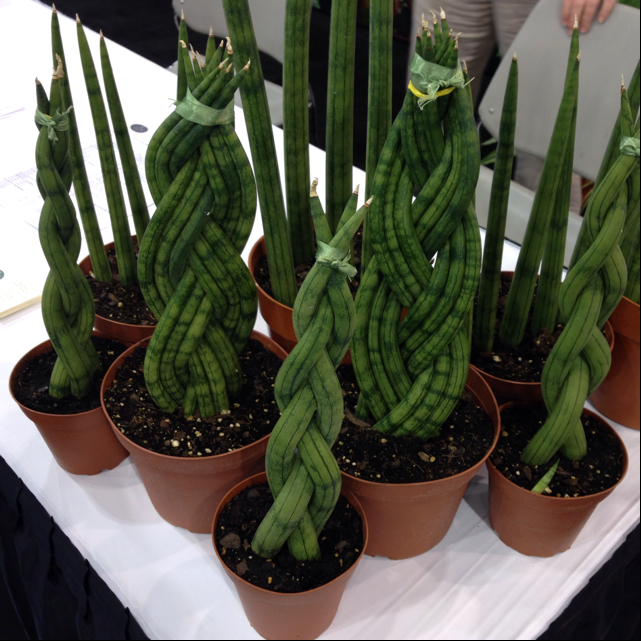 To see more photos of these plants, search for them in the Search feed under the “plants” tab in the App. Which founder has the best taste in plants? Let us know in a comment, or post a picture on the app of your own favorites!